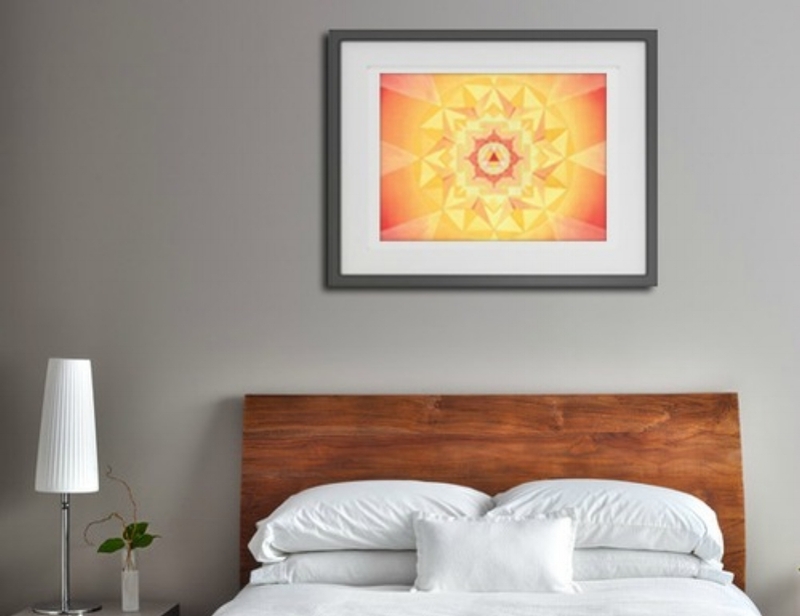 Concerning your Favorite Things series on Fire element, can I add the Mars yantra in a bedroom to add a bit of fire? I'm looking for subtle way to add fire as pure red color feels overwhelming to me. Thanks a lot in advance! Hello again Giuliana! You always send such great questions! Thank you! So this is an interesting question. When you sent this in, I wrote you back and said that Mars is good, as is Durga, but now a few months later (sorry we have a long queue for these Q&A Sundays! ), my intuition says that Mars is too intense, definitely not “subtle,” as you’re looking for. If you look at the Mars yantra, there are LOTS of triangles, and it’s very fiery. It’s almost as overwhelming as a pure red color, because it has the red, plus the triangles, plus the symbology of Mars. Mars is the god of passion and war! A very strong planet. Another thing I wanted to mention is that last year I went to a yantra painting retreat where we had our Vedic astrology read. It was enlightening, and one thing I learned was that I was “manglik,” which, according to Wikipedia, means I have Mars in the 1st, 2nd, 4th, 7th, 8th, or 12th house of my ascendant chart. There is a belief that the negative consequences for a single-manglik marriage can be resolved if the manglik first performs a ceremony called a kumbh vivah, in which the manglik "marries" a banana tree, a peepal tree or a silver or gold idol of the Hindu God Vishnu. What I gathered from all that is that maybe it’s not a good idea if you’re “manglik” to have the Mars yantra in your bedroom, because it may increase the disharmony in a marriage, or with a single person, if they are manglik. I think if both partners are manglik, it’s OK. So, after all that…I think that a subtle way to add fire can be with a red pillow, red throw, another fiery yantra like Durga (that’s a bit more mellow, and on the small side), or you could put a red sheet UNDER the bed, or put red somewhere it’s not visible. The fire element will still influence you, but it will be more subtle. Of course, one could use triangular shapes as well! Even if your intuition (and mine) says that a solid red placement or an addition of Mars art is too intense for your bedroom space, there are still plenty of ways to welcome passion and fire. You can also take another look at the My Favorite Things post: 5 Ways to Bring the Fire Element Into Your Space. The pillow case there might be a great choice for you!